I haven't been able to post anything for about 2 weeks for one reason or another. 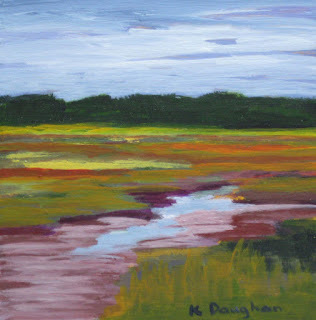 I did paint this piece though at Scarborough Marsh last Friday. It was a really fun day of painting with many of my PPOM friends.